If you run a local business, it’s time to reframe your view of Facebook as a purely social play to a social and search channel. Nearly half of people already use social networks to find local businesses. With the introduction of Facebook Local, that number’s about to go way up. 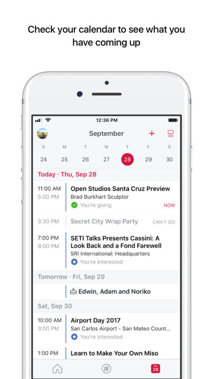 Launched in early November in North America, Facebook Local is the new and improved version of its Events app. It’s a directory of local businesses and events, all organized by category and whether or not your friends frequent them. It’s like Yelp if it factored your friends’ preferences into its ranking algorithm, and if it had the over 1 billion daily (and 2 billion monthly) user base of Facebook. In case anyone’s wondering, Yelp has fewer than 100 million monthly users. 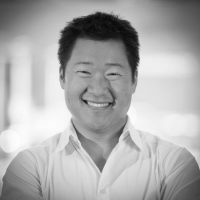 Like Yelp, Facebook Local relies on user-generated content to organize photos taken at businesses, note busy times, and rank them based on the Facebook user reviews for over 70 million business pages. Where Facebook Local stands out is in its attention to the friend factor. Facebook understands people’s inherent need to fit in. That’s why it shows users where their friends are going and where they went. This search based on popularity by friends—not strangers and Yelp Elite—differentiates it from Yelp. Instead of using general user reviews to find the best hair salon, Facebook Local helps you find the best hair salon, according to your friends. Facebook Local is currently available for iOS and Android. However, the app’s information is all available within the formerly “Nearby” tab in the Facebook app (now called “Local” for consistency), so local search marketers can’t afford to ignore this announcement, whether or not users opt to download the separate app en masse. Here are five predictions for how Facebook’s Local app will affect local SEO. With Facebook Local, Facebook has tackled the problem facing the review sites: credibility. While 85% of consumers trust online reviews as much as recommendations from family and friends, a quarter of them have to believe the reviews are real first. There is a rising prevalence of fake reviews and an awareness that they exist. On Facebook Local, businesses are ranked by their popularity among people Facebook users know, trust, and respect—not strangers or business owners posing as reviewers. This highlights the continued importance of reviews and the need for businesses to prioritize Facebook Local just as much as they do Yelp or Google My Business. This is why businesses must take care to ensure their Facebook pages are filled out accurately and completely. Make sure that your business name, address, and phone number are correct. Add more relevant business categories. Don’t hold back on the text fields of your profile like the About section, where you can mention keyword-rich information like how people love to frequent your business for happy hour. Remember: the more you fill out your profile, the less you force Facebook to crowdsource an incorrect answer. By scanning its billions of users’ accounts, Facebook can look at check-ins to see which businesses are the most popular and when. Encourage check-ins at your business to signal to Facebook that your business is hopping. Like Yelp’s check-in offers, let customers unlock unique discount codes if they show you a successful Facebook check in on their phone. Run a contest for the best photos taken at your restaurant. Enable appointment and reservation booking buttons. The key is to get customers in the habit of using Facebook as part of their experience with your business. 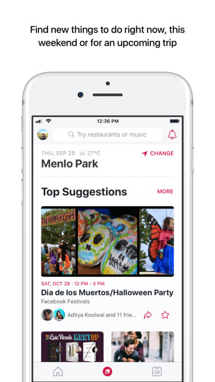 In their efforts to bring the social into local search, Facebook has tied events and a business directory into a single app. 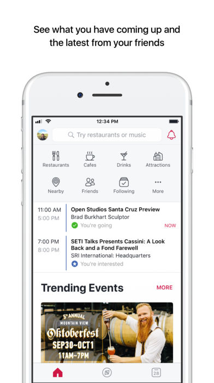 Facebook Local integrates with your calendar, syncs your events in one place, and includes Trending Events and Discover tabs to show what’s popular right now and among your friends. Hosting events increases your discoverability within the platform and your likelihood of being included in your customer’s’ feeds. Create events often and for anything you can, including product launches, sales, and obviously, traditional events. Facebook Local product manager Aditya Koowal told TechCrunch, “We’ll think about advertising way further down the line.” So Facebook Local doesn’t include advertising yet, but that’s a big yet. If you haven’t already, start experimenting with advertising on Yelp and Facebook it may make sense to start now and experiment. Pay attention to what works, so you can apply those learnings later on to Facebook Local ads. This isn’t an isolated incident. Facebook has been making plays in the local search space for years, and Facebook Local is just one in a long line of efforts. Lest you forgot, Facebook recently expanded Marketplace to include car listings, apartment rentals, and mobile food ordering. With Facebook Local, Facebook has created a very worthy competitor to local search giant Yelp. 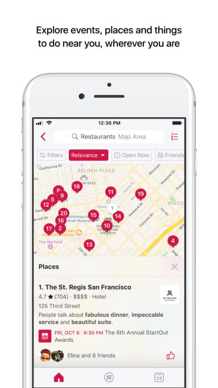 Whether Yelp will reign supreme is yet to be seen, but marketers should be adjusting their strategies now to include Facebook Local if they don’t want to be left behind. How will your business utilize Facebook Local in your 2018 marketing plan? What advertising potential do you see? I’m interested in your thoughts. Let’s keep the discussion going in the comment section below.